为什么那么多美国人不知道中国变得那么先进？ [美国媒体] Why do so many US people not understand how advanced China has become? Why do so many US people not understand how advanced China has become? I have worked in a company in Los Angelesfor more than 20 years. My observation is that most American people are notvery interested in knowing what happens in other countries, no matter it isEurope, Asia, or even their neighbor Canada. Most of my coworkers have never been to anyforeign country, not even nearby Canada or Mexico. If you ask them where Kobeis ? They might confuse and think you are talking about NBA star Kobe Bryant,because very few of them know Kobe is a city in Japan. 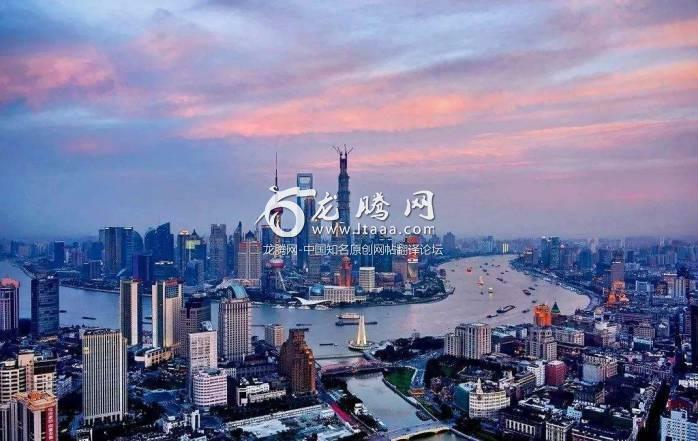 Most of Americans mighthave heard some big city names like Shanghai and Beijing, but they don’t knowanything else about those cities except for very tiny number of people who havetraveled to those places. I believe most of Chinese know Bush, Obama,Clinton and Trump, but very few Americans know foreign leaders. It’s funny thatbefore Xi Jinping, the top two leaders of the last Chinese government Hu Jintaoand Wen Jiabao were unknown in America. A few days before they paid visit tothe U.S., I remember some main stream media headline was something like “Whoand When“ ? (Chinese word HU just sounds like WHO in English, and Wen soundslike WHEN). China is amazing. However, I will add, alot of the reason why China is amazing, infrastructure wise, is because it’sall brand new. Much as the US subways were brand new nearly a century ago (formost of them). What really matters, though, is whether China can keep them asnice and new. It is easier to build, often, then to upkeep. I agree with you but the U.S. as therichest country in the world should have funds to update or rebuild theinfrastructure including subways. Using just railroads as an example, mostcomparisons between the two economies are not supportable. There is already a dense network of airtransportation in the United States. Our population is much smaller thanChina’s, and intercity bullet trains are not an efficient or necessary mode oftravel in the U.S. Even if they were desirable, the wages required by U.S.workers in such an enterprise render such a project infeasible. You neglected to point out the enormousdisparity in wages between the two economies. The U.S. could easily afford tofund massive railroad projects if private firms could pay their workers 1150dollars per month as in China. In the United States, the average railroadworker earns 45,566USD annually. Compared to the average Chinese annual wage ofapproximately 13,400USD, this makes such projects unrealistic, particularlywhen we do not have more than a billion people who need or want train travel. because only PARTS of China has becomeadvanced, MOST of China has been LEFT behind, more than HALF remain in abjectpoverty. CHina is among the most POOR nations in the world per capita…it’salong side Mongolia in wealth per capita- MOST Chinese remain poor andbackwards with villages having no roads or running water- believe- me I’ve beenin the country side having lived in China almost FOUR years. There is a GREATimbalance between the cities and countryside- almost 60% of the populationremains backwards and THAT is not shown on CNN…so it’s ACTUALLY the reverse ofwhat you say- MOST Americans think China is richer and so advanced when infact, a handful of cities are- the remainder is still living in the 1920s! in my nice apartment building in WangFuJingBejiing, I was told I had a storage unit in the basement- oh man— it was anentire city of tunnels and humid dirty rooms where city workers were livingstraight out of a horror movie…this is ADVANCED??? What? are you kidding? They are called the RAT TRIBES who live inbig cities but have to live in the basements of their MASTERS who they toil andserve THIS is NOT an advanced nation. I went to China, to see. I experienced modern gleaming cities, butalso tiny family farms with no plumbing. I saw new highways with LED lighting, beingswept by an old lady with a broom and a guy on a bicycle with a cage full ofducks for market. I saw wide modern streets with little boyspissing on them. I saw counterfeit products everywhere, ofpoor quality, untrue descriptions and even had counterfeit bottled water nearlykill one of our translators. I saw expensive sports cars fueled on junkgas and driven like tractors. I saw local corruption at a massive scale.Anything for a price, anytime. I saw the beginnings of the social unrestwe saw in the 60’s. I saw heavy handed government intervention. I saw a nation in transition, still notready for the world stage, but growing. Last month they announced that they wereturning their attention to the rural population. The city folk now had a betterlife, and now it id time for the country folk. The goal is to drag 1.7 billionpeople into the middle class. Most Americans never get much more than afew miles from where they were born and grew up. Fewer still ever leave thecountry. It used to be during the days of a universal draft that many youngAmerican men got drafted into the service, and then sent overseas onassignment. For many, if not most of them, it was their first time out of thecountry. Most were astounded to find out that life in other parts of the worldwas much different from what the pictures in their 20-year old “Social Studies”books depicted. The world was modern, many people spoke English, the food wasgreat, restaurants and bars were convivial and fun, and transportation was soabundant that if one were stationed in Germany, hopping a train to France orItaly for the weekend was a piece of cake. It was a broadening experience. Now, without a draft, and with stationslike FOX News telling everyone who will listen how hostile the world is with“no-go” zones even in places like London, most Americans have never left thelower-48 and have a view of the rest of the world that is hopelessly outdated,if it ever was true. Being insular just ensures that one’s children grow upeven more insular, and so it goes. I would consider China’s greatness onlywhen the queue in front of Chinese consulate in New York would be remotelycomparable to the H1B queue in China.